The latest inventions patented by Nikola Tesla are probablly the most mysterious because it seems that nobody still ever attempted to build and some of their principles and their purposes are also uknown. In 1928 Tesla patented the invention for the "Apparatus for Aerial Transportation" that he claimed would revolutionise the world. This device would be powered by one of his miraculous turbines and would cost less than a thousand dollars. In those patents it is easy to appreciate that it had been designed by using many technical features of the conventional aviation and it could be compared to the ornithopter concept or the V-tol design, which could develop a vertical taking off like an helicopter and fly in horizontal position as an airplane when some altitude is achieved. Today some of the most important aeronautic companies from around the world are searching for the right design which could make possible this method to avoid the risk which implies the common method of taking off and landing of the modern commertial aviation, knowing that most of the accidents usually doesn't happend during the flight but during the taking off and the landing. The apparatus described in Tesla's patents seems to be quite simple but strange and it seems that he didn't have any intention to build any prototype. 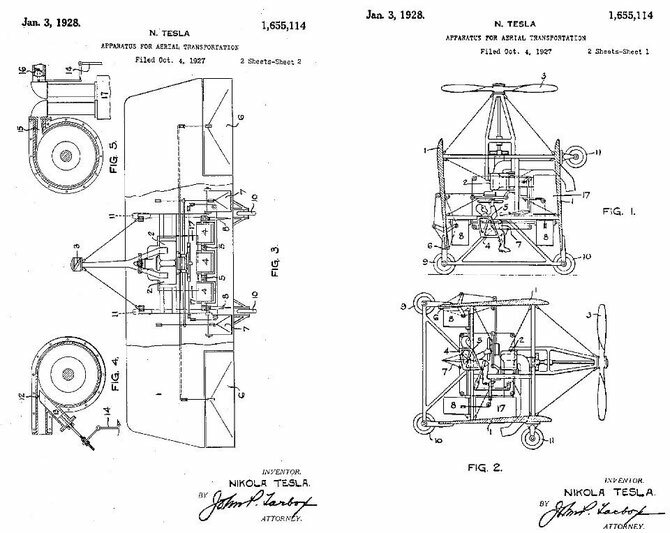 Another mistery is why Tesla patented an airplane like the patents US1,655,113 & US1,655,114 on January 3, 1928 when he'd already proposed the ultimate flying machine in 1919 and knowing that he wasn't very optimistic about the future of comertial aviation. One reason could be the difference of height. This awsome craft was to be powered by his World Wireless System, fly without wings or propellers, and would make war unthinkable by its ability to strike an enemy with impunity from thousands of miles away. Maybe by the time Tesla conceded that airplanes might be useful after all, he was already behind the times. Four years before Tesla filed his own patent application, Albert Zahm, a versatile inventor with the Curtiss Aeroplane and Motor Corp., had come up with essentially the same idea. 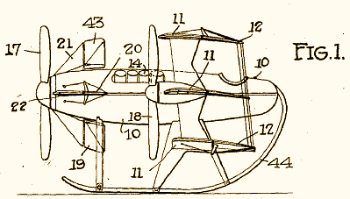 The airplane described in Zahm's patent US1,358,603 A - Hovering aeroplane - 9 Nov 1920 (Filed 10 Ago 1917) rocks backward on a set of skids (44), so that it can take off vertically like a helicopter. And where Tesla, who never designed a working aircraft, casually suggested that "the tail is omitted or, if used, it is retractable," Zahm's airplane adopts a canard configuration, with the "tail" located in front of the pilot. Zahm's pilot may may need to lie on his back during takeoff, but Tesla's solution, the swinging seat, hardly seems like an improvement. According to Tesla's statements he was experimenting with his turbines with the objective of solving some of the problems of the existing airplanes of that times. And according to museum officials at The Nikola Tesla museum in Belgrade, he left sketches of interplanetary ships. This information, however is uknown. “As stated on a previous occasion, when I was a student at college I conceived a flying machine quite unlike the present ones. The underlying principle was sound but could not be carried into practice for want of a prime-mover of sufficiently great activity. In recent years I have successfully solved this problem and am now planning aerial machines devoid of sustaining planes, ailerons, propellers, and other external attachments which will be capable of immense speeds and are very likely to furnish powerful arguments for peace in the future. Such a machine, sustained and propelled entirely by reaction, is shown on page 108 and is supposed to be controlled either mechanically or by wireless energy. By installing proper plants, it will be practicable to project a missile of this kind into the air and drop it almost on the very spot designated, which may be thousands of miles away." In this ocasion Tesla stated that when he was an student he conceived a flying machine and "the underlying principle was sound". However, there are just few references in the articles describing the principles involved in this kind of "flying machine". Although it is unknown exactly how he was thinking to defy the law of gravity it is possible to levitate objects by sound. Acoustic levitation is a method for suspending matter in a medium by using acoustic radiation pressure from intense sound waves in the medium. Sometimes sound waves at ultrasonic frequencies can be used to levitate objects, thus creating no sound heard by the human ear, such as was demonstrated at Otsuka Lab,* while others use audible frequencies. There are various ways of emitting the sound wave, from creating a wave underneath the object and reflecting it back to its source, to using a (transparent) tank to create a large acoustic field. By 2013, acoustic levitation had progressed from motionless levitation to controllably moving hovering objects, an ability useful in the pharmaceutical and electronics industries. * A prototype device involved a chessboard-like array of square acoustic emitters that move an object from one square to another by slowly lowering the sound intensity emitted from one square while increasing the sound intensity from the other, allowing the object to travel virtually "downhill"
Current systems have lifted at most a few kilograms. * Acoustic levitators are used mostly in industry. However, some products are commercially available to the public. Tesla's new self-propelled aerial tel-automaton. Devoid of propeller, sustaining wings and other means of external control. Could attain an speed of 350miles per hour (3600 m.p.h in another source), and will reach a determined point a thousand miles away accurately within a few feet. Tesla explained that his "flying machine" would fly through the rarefied medium above the stratosphere at a height of 8 miles to reduce friction. With such conditions he stated that the velocity would be 3600 m.p.h. It also would be able to remain absolutely stationary in the air. He described the engine as having 1000 horse power, and weighing only 100 lb. To make a comparison, one of the most powerfull turbine engine of the modern comertial aviation, a single GE90-115B puts out over 110,000 horsepower (the double of Titanic's engines), weihging 18.260 lb in empty condition. "I was a mechanical engineer before I was an electrical engineer, and besides, this principle was worked on in the course of my search for the ideal motor for airships, to be used in conjunction with my invention for the wireless transmission of electrical power. For twenty years I worked on the problem, but I have not given up. When my plan is perfected the present-day aeroplanes and dirigible balloons will disappear, and the dangerous sport of aviation, as we know it now with its hundreds of accidents, and its picturesque birdmen, will give way to safe, seaworthy airships, without wings or gas bags, but supported and driven by mechanical means". “As I told you before when we were talking of the wireless transmission of power, the mechanism will be a development of the principle on which my turbine is constructed". "With a thousand horse power engine, weighing only one hundred pounds, imagine the possibilities in automobiles, locomotives and steamships. In the space now occupied by the engines of the Lusitania twenty-five times her 80,000 horse power could be developed, were it possible to provide boiler capacity sufficient to furnish the necessary steam". And it makes the aeroplane practical,— I suggested. "Not the aeroplane, the flying machine,— responded Dr. Tesla. —Now you have struck the point in which I am most deeply interested—the object toward which I have been devoting my energies for more than twenty years—the dream of my life. It was in seeking the means of making the perfect flying machine that I developed this engine". "The aeroplane is fatally defective. It is merely a toy—a sporting play-thing. It can never become commercially practical. It has fatal defects. One is the fact that when it encounters a downward current of air it is helpless. The —hole in the air— of which aviators speak is simply a downward current, and unless the aeroplane is high enough above the earth to move laterally but can do nothing but fall". "The flying machine of the future—my flying machine—will be heavier than air, but it will not be an aeroplane. It will have no wings. It will be substantial, solid, stable. You cannot have a stable airplane. The gyroscope can never be successfully applied to the airplane, for it would give a stability that would result in the machine being torn to pieces by the wind, just as the unprotected aeroplane on the ground is torn to pieces by a high wind". "You might see it on the ground and you would never guess that it was a flying machine. Yet it will be able to move at will through the air in any direction with perfect safety, higher speeds than have yet been reached, regardless of weather and oblivious of —holes in the air— or downward currents. It will ascend in such currents if desired. It can remain absolutely stationary in the air, even in a wind, for great length of time. Its lifting power will not depend upon any such delicate devices as the bird has to employ, but upon positive mechanical action". You will get stability through gyroscopes? I asked. "Through gyroscopic action of my engine, assisted by some devices I am not yet prepared to talk about", he replied. "Powerful air currents that may be deflected at will, if produced by engines and compressors sufficiently light and powerful, might lift a heavy body off the ground and propel it through the air, I ventured, wondering if I had grasped the inventor's secret". "All I have to say on that point is that my airship will have neither gas bag, wings nor propellers, he said. It is the child of my dreams, the product of years of intense and painful toil and research. I am not going to talk about it any further. But whatever my airship may be, here at least is an engine that will do things that no other engine ever has done, and that is something tangible". Tesla tower in action supplying and directing air machines from distances of hundreds or even thousands of miles away. "The idea is to fly at a great height where the air is rarefied, and therefore much less power is required to propel the machine through it". 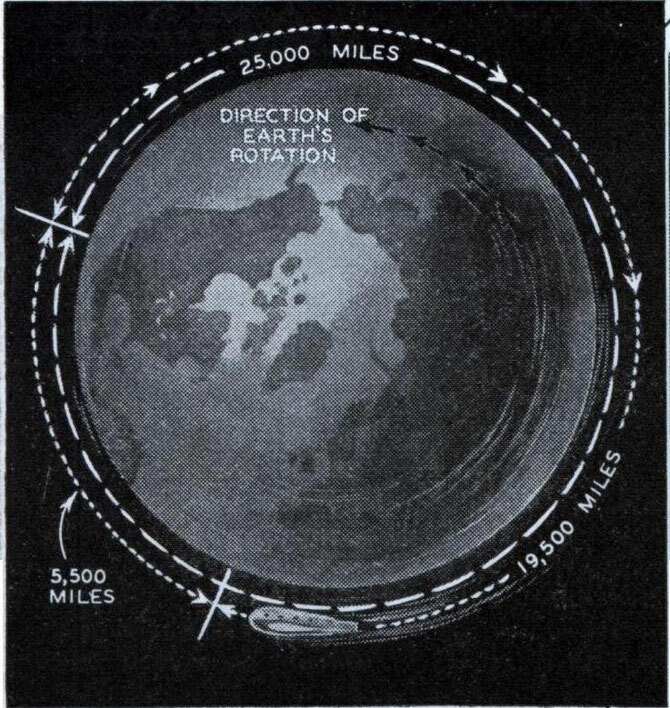 "At a height of eight miles the decrease of oxygen can be overcome for both engine and aviator". "The application of wireless power for aerial propulsion will do away with a great deal of complication and waste, and it is difficult to imagine that a more perfect means will ever be found to transport human beings to great distances economically. The power supply is virtually unlimited, as any number of power plants can be operated together, supplying energy to airships just as trains running on tracks are now supplied with electrical energy through rails or wires". "In the future nations will fight each other thousands of miles apart. No soldier will see his enemy. In fact future wars will not be conducted by men directly but by the forces which if let loose may well destroy civilization completely. If war comes again, I look for the extensive use of self-propelled air vehicles carrying enormous charges of explosive which will be sent from any point to another to do their destructive work, with no human being aboard to guide them. The distance to which they can be sent is practically unlimited and the amount of explosive they can carry is likewise practically unlimited. 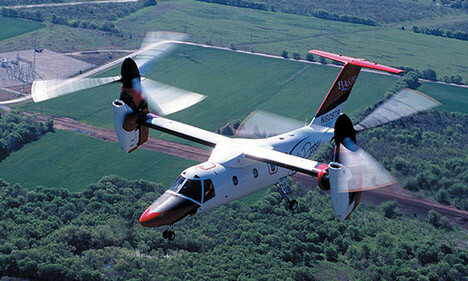 It is practicable to send such an air vessel say to a distance of four or five thousand miles and so control its course either gyroscopically or electrically that it will land at the exact spot where it is intended to have it land, within a few feet, and its cargo of explosive can there be detonated. “This cannot be done by means of the present wireless plants, but with a proper plant it can be done"
"Mr. Tesla added he has devoted a great deal of time to experimentation with rocket-propelled ships and has designed a number of machines "with practical objects in view." "A great development in this field may be confidently expected," he said. "With such machines it will be practicable to attain speeds of nearly a mile a second through the rarefied medium above the stratosphere. "I anticipate that such machines will be of tremendous importance in international conflicts of the future. I foresee that in times not too distant wars between various countries will be carried on without a single combatant passing the border. At this very time it is possible to construct such infernal machines which will carry any desired quantity of poisoned gases and explosives, launch them against a target thousands of miles away and destroy a whole city". "Future rocket planes may circle the globe in 5 1/2 hours. At 3600 m.p.h the plane travels about 19,500 miles. Earth's rotation adds 5500 to the total". In some occasion Tesla also suggested to use helium for de zeppelin designs instead of hydrogen which is inflammable and extremely explosive. "Why do the naval and other authorities allow such forms of aircraft to use an ex- plosive gas like hydrogen? A short time ago the press was filler? with the wondrous stories of how the U. S. Government experts had perfected the manufacture of the new! and non-inflammable balloon gas-helium, to such an extent that it was very cheap and readily obtainable in quantities. Funny, how these "new" inventions require so long a time to reach the public and those who need them. Helium, extracted from illuminating gas, is not new or wonderful at all". Helium is an inert gas. Inert quite literally means non-combustible. In fact, helium in its liquid state is actually used as a coolant for things like rocket ships, MRI machines, and particle accelerators. 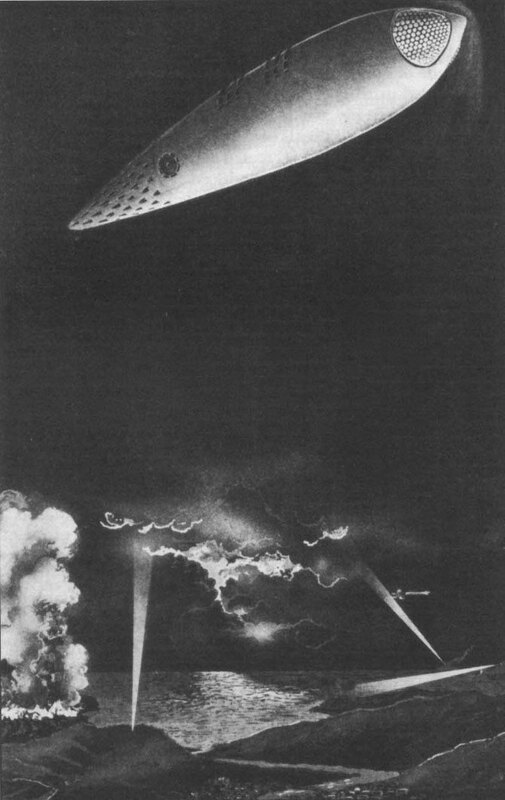 Hindenburg blimp tragedy was filled with hydrogen, not helium. US1,655,114 patented the stability of dual counter rotating turbines to power the flying machine or spaceship as people called the early flying saucer arrivals. Tesla Towers were to power saucers remotely if you understand sound waves in the ether are Tesla's method of transmitted power. The DC brush in lecture 1892 is devoid of inertia and so would be the equipment making the brush and thus the saucer. An electrical push in the right direction as the 'reaction' to sound waves and who knows. "The underlying principle was sound but could not be carried into practice for want of a prime-mover of sufficiently great activity." Tesla was a magnificent student of speech, and when he used the term "sound" in this context, it clearly means "soundness, validity"... as in "He had a very sound idea." If he had intended to indicate the machine used "auditory sound", the sentence it would not be so ambiguous and nonsensical. In the complete context "The underlying principle was sound, but could not be carried into practice for want of a prime-mover of sufficiently great activity. ", he clearly meant that the principle was based on solid theory, not on fantasy, but could not be implemented at that time due to the current state-of-the-art mechanical constraints. "To make a comparison, one of the most powerfull turbine engine of the modern comertial aviation, a single GE90-115B puts out over 110,000 horsepower (the double of Titanic's engines), weihging 16.644 lb in empty condition." The GE90-115B weighs 18,260 pounds. "Tesla was a magnificent student of speech, and when he used the term "sound" in this context, it clearly means "soundness, validity"... as in "He had a very sound idea." "If he had intended to indicate the machine used "auditory sound", the sentence it would not be so ambiguous and nonsensical." You are probably right but the fact is that I'm not an english speaker and didn't know the double meaning of this word. In my language the term is "solid argument". The problem that I see with your statement is that I have read some article where Tesla stated that the principles of that kind of flying machine still had to be tested/investigated and that he still had some doubts which should be solved in the following years. Especially those related with propulsion at a heigh of 8 miles where the air is less dense and you can reduce friction but the propulsion is also weaker because of the low air density. I don't remember the title of the precise article but I'll search for it. Maybe he meant that he had in mind some interesting principles which wanted to demonstrate in a bigger scale. In a practical sense acoustic levitation has a lot of limitations and for this reason appears to be a nonsense in terms of aerial transportation. However, in a theoretical sense there is no limit of weight to be levitated. The problem is that as more weight the object has the more power will be required (I guess that in exponential proportions). This is why I though that this was his idea, but there's not any aditional information in any other source. "The GE90-115B weighs 18,260 pounds." Yes, you are right. I copied the weight of the GE90-94B instead of the GE90-115B. Thanks for the correction. Make me know if you find any other mistake. Words can have two meanings. Perhaps the pun was intended. Tesla was very vague about his fabled flying machine The description of 'ropes of air' make the machine seem like it would involve some kind of jet turbine like device. "Acoustic levitation (also: Acoustophoresis) is a method for suspending matter in a medium by using acoustic radiation pressure from intense sound waves in the medium. Current systems have lifted at most a few kilograms. Acoustic levitators are used mostly in industry. However, some products are commercially available to the public." The idea that Tesla was referring to Acoustic Levitation is an interesting one. I think it is worth considering especially if we consider this in context with Tesla's supposed "Dynamic Theory of Gravity". Could gravity really be sound? IE could gravity be a standing wave like phenomena? Tesla planned for at least two types of 'flying machines'. One was of a fairly conventional design, but used a multi-stage Tesla Turbine powered by gasoline (not steam) to develop 100 HP for every 10 pounds of turbine weight. His second 'Aeronaut' was to be powered by two large Tesla Magnets operating at 10 MHZ (10,000,000 Cycles per Second) from either his earlier test of Wireless transmission or his second test of Power Reception from the Ionosphere. He drove a car with an electric motor powered (he thought) by his transmitter in Niagara Falls. He found out later that his power Transmitter was down for repairs during his test, but the car operated as he expected. His second Aeronaut design had a Tesla magnet in the floor to give 'lift' and another one 'aft' to supply motive force. It was to be powered by his 'receiver device' he had built for the Electric Car which consisted of a 6 volt car battery spinning a 6 volt motor connected to a stepper switch set to 0 cycles a second. The output of the stepper switch fed a Tuned Tank Circuit (with an ariel attached), which was Rectified into a series of 60 cycle pulses. these pulses fed a Tesla Magnet/Transformer with a steel core 'Driven to Harmonic Oscillations'. The output of this transformer fed his Coils (or car motor). 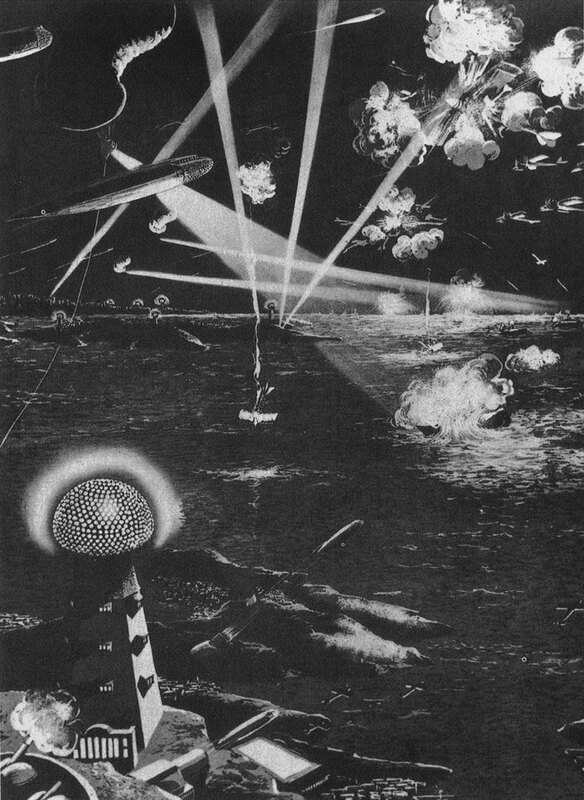 John Worrell Keely apparently had a model airship shaped device that levitated through sound. The underlying principle was sound but could not be carried into practice for want of a prime-mover of sufficiently great activity. Tesla talks of sound waves in the ether developed by electrical charges. A sound wave is a pressure wave there is no EM wave to propel. The turbine is only required to power an electrical generator. free energy generator to recharge the batteries.